So the proposals are out for the final sports to be included in the troubled 2020 Olympics including skateboarding (didn't realise it was a sport but am open minded to the concept), surfing (small problem if there are no waves...), karate (actually not a huge sport in Japan, judo is much the more popular event), bowling (the only ball sport that is not actually "played"; you "go" bowling) and baseball/softball. Baseball is extremely popular in Japan but with the proposal only providing for six teams, it somewhat underlines the point that it isn't really a global sport. 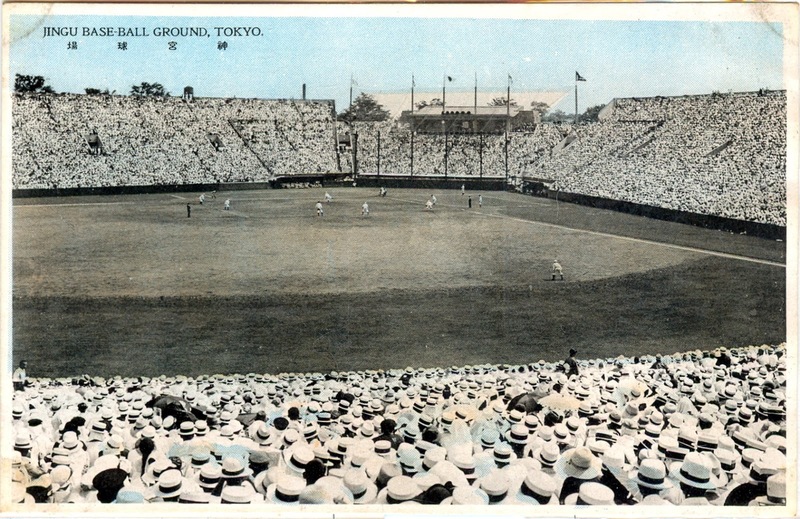 The hope would be that if baseball were selected, at least some of the games would be played out at the Jingu Stadium, currently home to the Yakult Swallows. 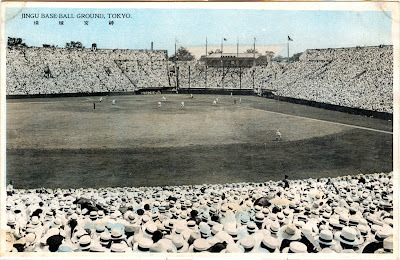 Built in 1926, for a cost equal to a business class flight to California today, it saw the 1934 American All Star tour of Japan which included, amongst others, Babe Ruth and Lou Gehrig. The tour nearly cost the organiser his life as it was considered sacred ground to the right wing of the day, who got upset and tried to assassinate him. It's a vast, open stadium that somehow captures the atmosphere so much better than others and when the rains come down, the umbrellas go up and the beer girls get busy. But if you haven't been, you need to hurry, for it is slated for demolition and will relocate a short walk away to the current site of the National Rugby Stadium, Chichibunomiya, also slated for demolition and currently planned as a car park for the Olympics. At this rate there won't be anything left to demolish in Tokyo by 2020 but if you get the chance, go and watch a game, enjoy a beer, and remember, take your umbrella. Thanks so much for sharing! Lots of thanks for this post.I think it is a very good post. It helps us many away. So many many thanks for this article. Will Japan welcome the refugees of the world?